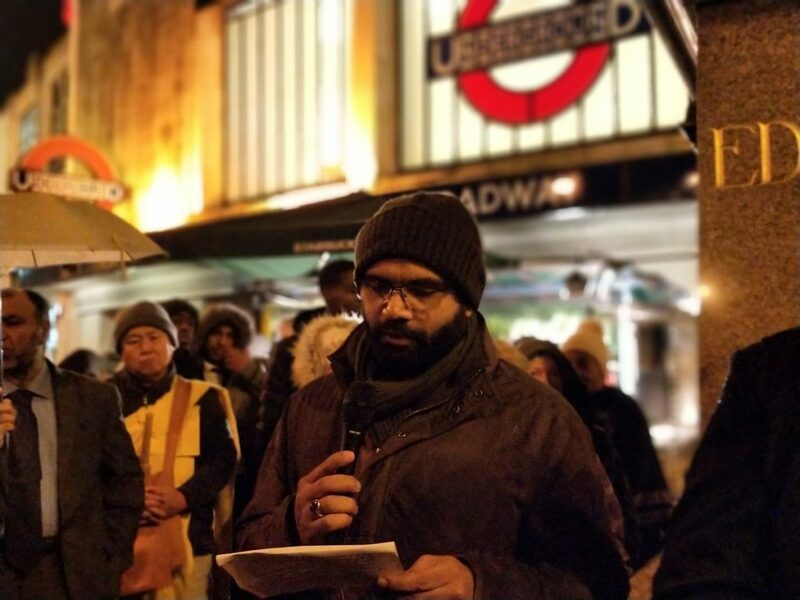 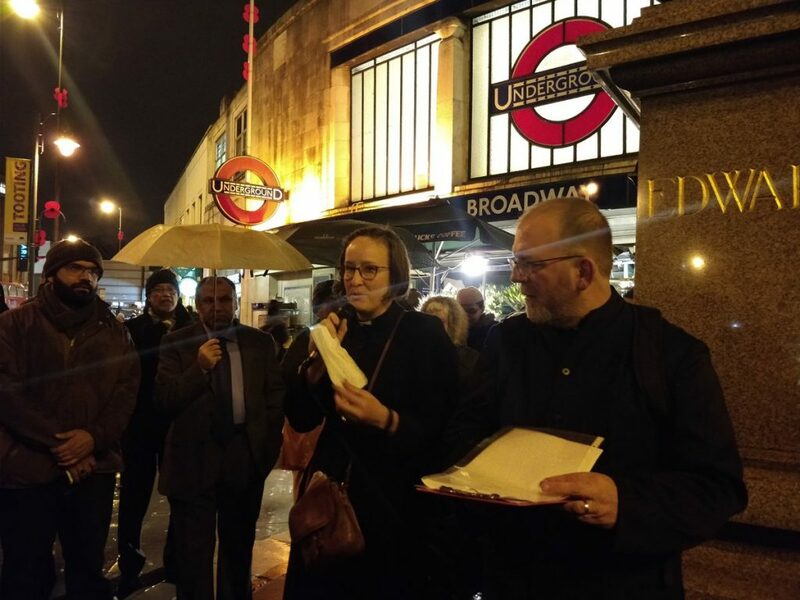 Representatives of several faiths were present at the BATCA’s multifaith Peace Ceremony on 14th November at Tooting Broadway to affirm the need for peace locally and world-wide. 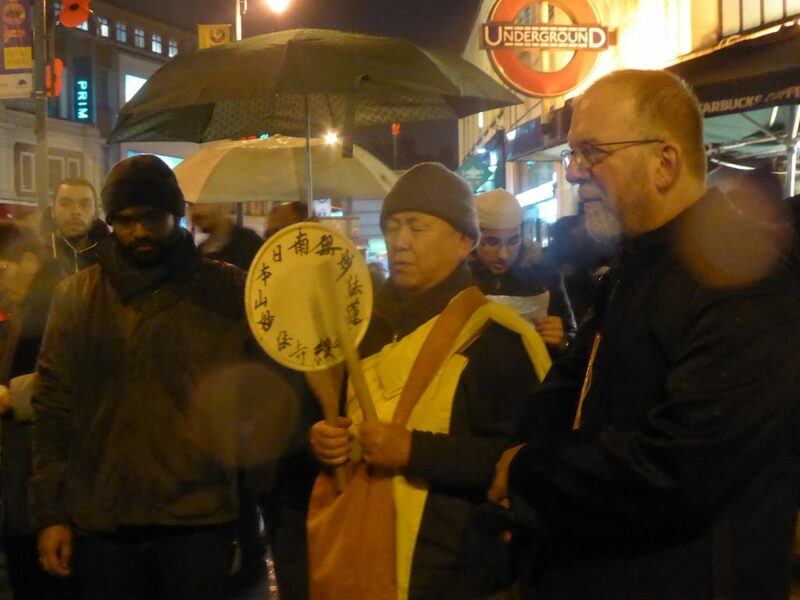 Prayers for peace were said by Buddhist, Christian and Muslim faith leaders. 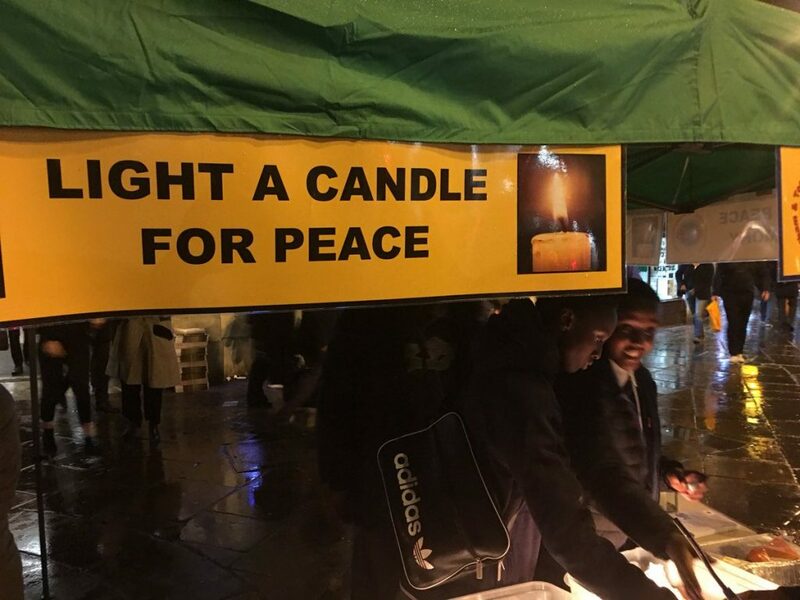 The head boy of Al Risalah Muslim Secondary School gave a moving speech calling on all to play their part in combatting conflict and promoting social harmony. 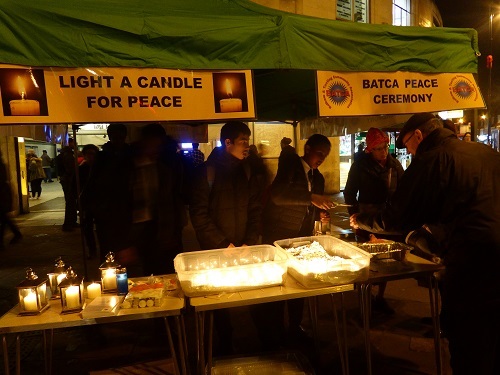 Many community groups and public sector bodies were represented. 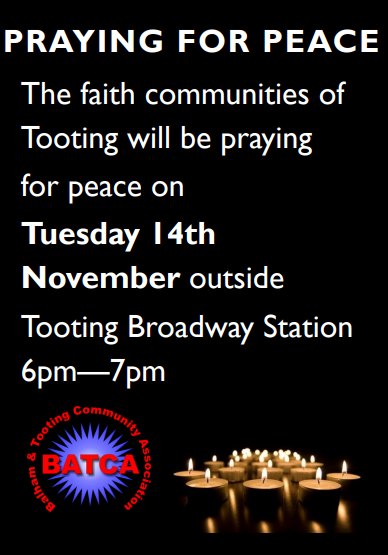 The public lit candles and gathered round. 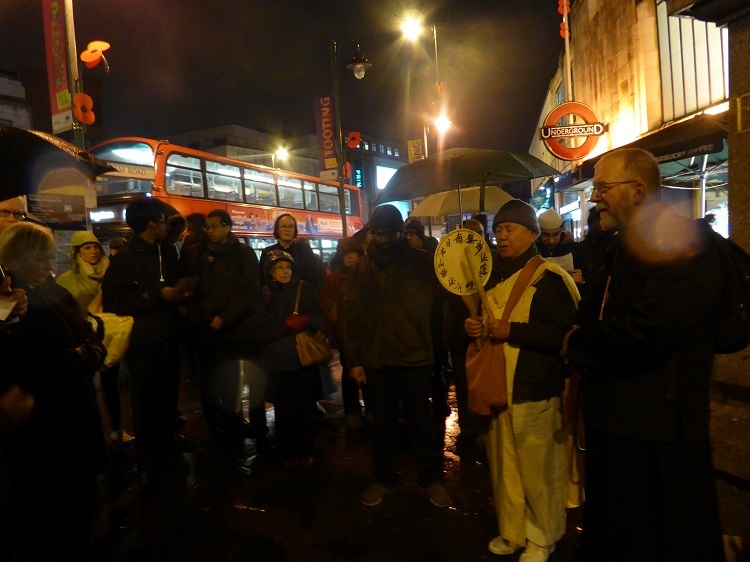 The event was led by Rev Andrew Davey, vicar of St Augustine’s and Holy Trinity churches, Tooting. 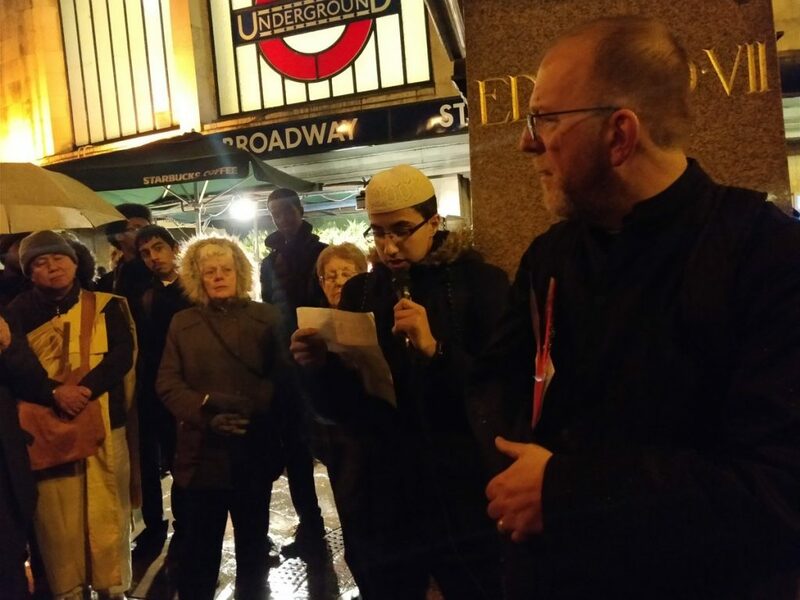 The faith leaders who spoke were Bhikku Nagase of the Battersea Buddhist Peace Pagoda, Ali Jaffri of the Idara-e –Jaaferiya mosque, Church Lane, Tooting, and Revd Mae Christie of All Saints Church, Tooting.